This venerable, loveable dive features a massive menu of burgers, hot dogs, sandwiches, omelets and chilis --- as well as a long bar and pool tables. 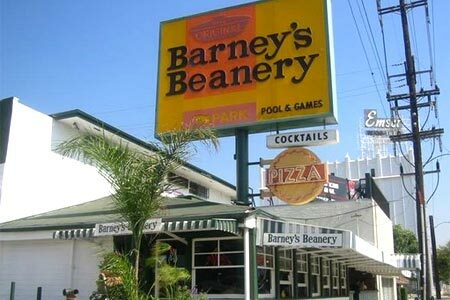 : Not for the indecisive, Barney's Beanery offers burgers, hot dogs, sandwiches, omelets and scrambled egg dishes (served all day), and five variations of chili. Satisfy your sweet tooth with milkshakes, sundaes, apple pie or chocolate cake. It's your basic American roadhouse and coffee shop fare and, for the most part, edible. But don't go to Barney's for the food --- go for the international collection of approximately 45 beers and the warmly scruffy, laid-back atmosphere. Barney's has been around, unchanged, for years --- a maze of tattered booths, pool tables, video games and a long, dark bar. It’s got huge HDTVs and is a sports event magnet. 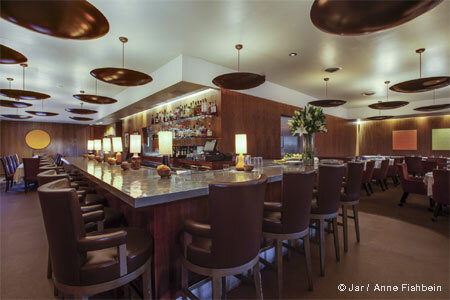 The place buzzes until 2 a.m. daily. Other locations.